Try one of these favorite and delicious recipes! Begin by cutting Fresh Colorado Bass Fillets into sashimi slices. 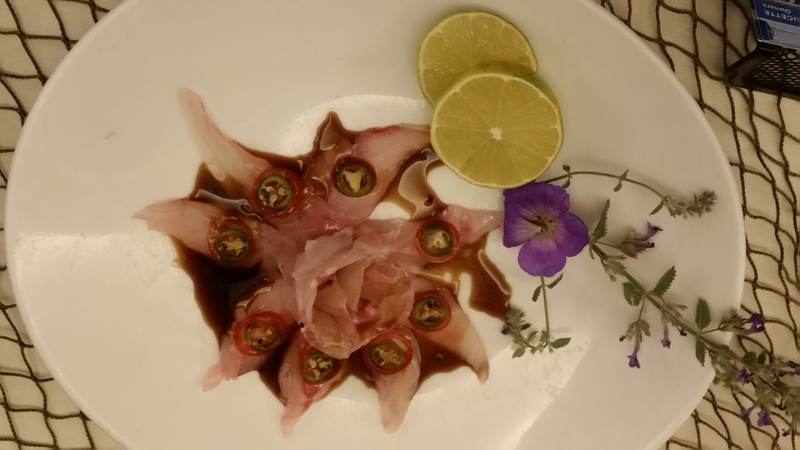 Arrange Colorado Bass Sashimi slices on plate and place sliced jalapeno's and fresh cilantro leaves on top. Then lightly drizzle with Ponzu and enjoy. 1 medium mango peeled and diced. 2 tbsp of fresh lime juice. Prepare Mango Salsa first and allow ingredients to blend together while prepping Colorado Bass. Add all ingredients for Mango Salsa and gently mix together then chill and allow flavors to combine. Take fresh Colorado Bass fillets and season with sea salt and granulated garlic. Pan sear fillet. 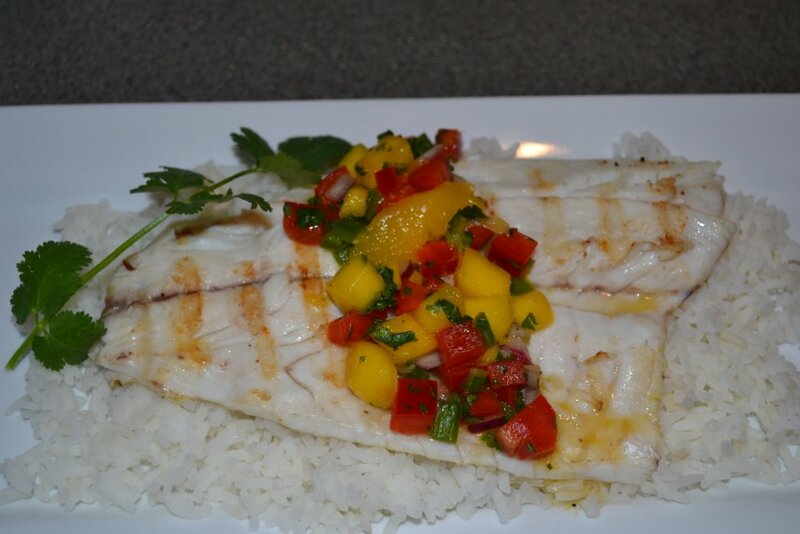 Once fillet is seared place fillet on bed of Jasmine Rice and add 1 to 2 tablespoons of fresh mango salsa to top of fillet.